You have gained enough knowledge about how a startup runs, heard about all the happy test of being part of the unicorn company, and now you have made up your mind to join one. But wait! When you are looking for available job openings in this field, all you can find are mostly tech-related skills such as app developer, software engineer, quality assurance tester, and other job titles that you are not really familiar with. While you understand that most startups nowadays are highly relying on high technology to support their venture, is there a way for someone with zero tech skill like you to get into a startup? Regardless of the business fields, marketing division always becomes important part in all kinds of company, and so is in startup. As a newly-built company, the key to startup success lays in the hand of its marketing department. Owing to this reason, this position requires highly-spirited individuals who are passionate to introduce the startup to the society. It might be different from old-fashioned marketing style where the marketer should come to the client’s door by door or make a call everyday. Marketing startup relies on technological sophistication in order to attract new customers. Besides great persuasion skill, marketing staff in startup should possess the skills to leverage the power of the internet and maintain the company’s social media presence. Many jobs with this title usually offer job opportunities for those who hold degree in accounting, but actually it can be wider. However, to be in this position you should demonstrate that you are a reliable, careful and discipline individual. Startup finance staff has responsibility to manage and update everything related to money and financial tasks within the organisation such as payroll and payout. This role is particularly important in startups such as marketplace, ecommerce, or other service platforms. Mainly taking the responsibility to optimise support operations by accommodating customer’s needs while ensuring their satisfaction, helpful customer service employees can be the key to grow your business rapidly. That being said, if you want to apply for this position, you will be required to have good problem-solving skills, fast response attitude, patience, as well as in-depth knowledge about the products or services offered by the startup. What will a startup do without meaningful content? That’s right, nowhere. Even when a startup has no official website or blog (which is highly unlikely today), they still need attractive pictures or attention-grabbing video along with catchy phrases for its marketing content to promote the products or services. Content creator is required to understand the aesthetic of writings or pictures and able to relate it to the current trending topic within the society. While this might sound complicated, it can be learnt by the time. You just need to observe the content related to the topic to learn about the style suitable for the startup. It comes as no surprise to hear that employee turnover in startup is quite high. Lack of financial security combined with high competition among startup companies has created a condition where employees come and leave easily. While job-hopping might not be a new phenomenon within startup environment, it does not mean that a startup can hire random people. Therefore, startup needs credible recruiters who can demonstrate great recruiting skills to bring in the best talents. Read also: Launching a Startup While Working Full-time, Why Not? 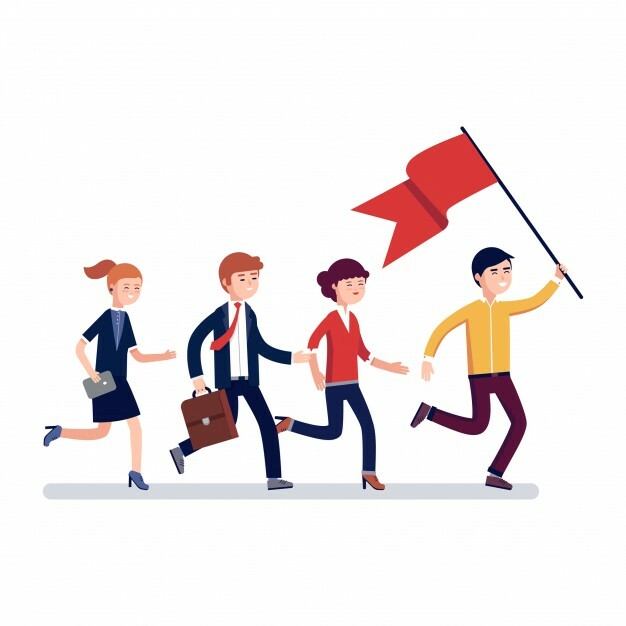 Red Flags: Not to Join that Startup!